On Saturday, speaking to Press-Ocean, Polish owner and president of FC Nantes, Waldemar Kita, announced: “What I want? A new stadium worthy of the city of Nantes and not repainting of the old”. This statement followed another one he issues earlier in January. Then Kita asked the local government candidates, whether they would consider engaging in a stadium change. Back then building anew was only the second option, though. The first one was renovating Beaujoire. 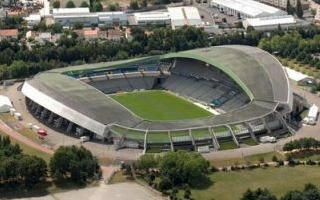 Stade de la Beaujoire will turn 30 this year and throughout this time FC Nantes have played host here. And despite the structure being heavily outdated nowadays, fans seem to prefer it over a new one. This weekend they hanged two banners inside the stadium: “At Beaujoire or nowhere!” and “Kita, shut up!”.